Our Service department is one of the most up to date service facilities in Kelowna, leading the way with the newest technology, equipment and diagnostic tools available. Put this together with a staff of highly trained service writers and technicians and you get a service department that is unmatched in quality, efficiency, and customer satisfaction. Call our service department anytime for a free quote, or just to find out some of the service we offer. If you would like to schedule an appointment call us, or fill in the Service Appointment Form and let us do the rest. If you’re looking for a great place to find service & parts in Vernon or the surrounding areas then look no further than Elite Auto Centre. We have highly qualified technicians who can take care of your service needs with the newest technology and tools available. When you come to us you can expect exceptional service delivered in a timely manner. Our top tier customer service representatives can set you up with an appointment, or you can take advantage of the covenant ability to book your service online. 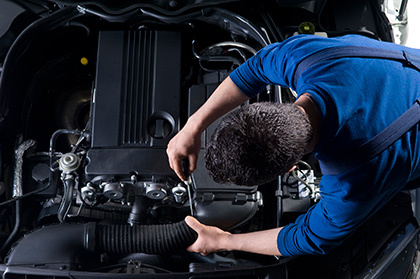 If you’re looking for the right parts for your vehicle an associate can help you make the selection for your needs at a fair price. Whether you’re in need of a service appointment or a single part come talk to us and see what we can do for you.